Google have unveiled new tricks up their sleeve. 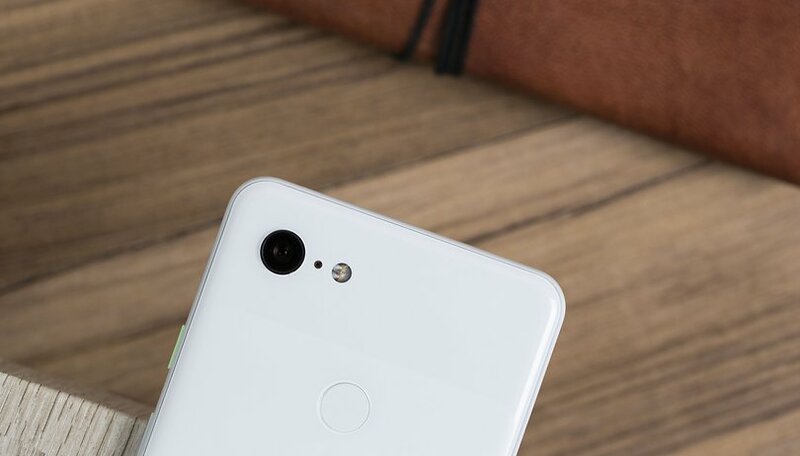 As happened last year, the American company has presented a new generation of Pixel smartphones ready to wipe out the current competition in terms of photographic performance and to withstand the attacks of all new arrivals expected in 2019. Will the Pixel 3 XL take the place of its predecessor as the best smartphone in the world for photo quality? After our extensive tests we are no longer sure. The Google Pixel 3 and the Pixel 3 XL share the same photographic hardware this year: two front cameras, and once again, a single rear camera. In the age of computational photography, where software is the master, Google are flexing their muscles and demonstrating that you can achieve wonderful results without adding multiple sensors or increasing megapixels. The Pixel 3 XL I tested uses a 12.2 MP sensor at the back, a lens with fixed f/1.8 focal length, 1.4µm pixels and Dual Pixel PDAF technology for incredibly fast focusing. At first glance, nothing seems to have changed from the previous model, although in reality the sensor has been changed - a Sony IMX363 has replaced the Sony IMX380 of last year's model. One of the other differences I noticed is the removal of the laser autofocus (present on the first two Pixels). The PDAF technology does a great job almost 100 % of the time, but the Pixel 3 XL suffers slightly from the removal in extreme darkness. At the front we find two 8 MP cameras. Google wanted to use a sensor with f/1.8 aperture lenses and PDAF autofocus in combination with a second fixed focus sensor and ultra-wide-angle f/2.2 aperture lenses. Always present, however, is the Pixel Visual Core created by Google. The chip, which hasn't physically changed since the second generation Pixels, is connected to the smartphone hardware in a different way to maximize performance. That's at least what one of Google's engineers could tell us about it. Yes, that's what I like to call the care and commitment that the Google team has put into the camera software for these smartphones. It's a difficult thing to explain if you've never had the chance to take pictures with a Pixel. The software behind it all is so complex, in order to ensure perfect photos in almost all situations, while at the same time, it's so simple and fast to use that it's virtually impossible for users to mess something up. The Google Camera interface has been modified to accommodate the new functions without necessarily filling the screen with buttons that are confusing or that you will never use. The application can be opened, as has been the case for some time now, by double tapping on the power button. It is always possible to switch from the rear camera to the front ones by rotating the wrist, as well. In the upper part of the interface we find the controls for the timer, the white temperature, the flash (which personally I have never had to use for anything but a torch) and, if enabled in the settings, a button for activating the saving of shots in RAW - one of the novelties which just arrived with the new Pixels. Unfortunately, although you can save photos in JPEG+DNG format, there is still no advanced mode with manual controls. Google continue to focus on the simplicity of shooting presented by the automatic mode enhanced by HDR+ technology. The company has also revealed to us that snapshots saved on the smartphone when we press the dedicated button are actually taken 200ms earlier. This allows users to immortalize the exact desired moment without delays. Scrolling to the right or left, you can switch between the various shooting modes, such as the now iconic portrait mode, which works perfectly with a single rear sensor, panorama mode and video recording. The Photo Sphere, Google Lens (now also integrated in the automatic mode), Playground (formerly AR Sticker) and Slow Motion (120-240fps) modes have been relegated to a sub-menu, where we also find the new Photobooth function, as well as Night Sight mode expected in the coming weeks with an update. One of the new camera functions Google advertised the most, is called Top Shot. By entering Google Photos and finding your shot, the software will be able to recommend various images recorded by your smartphone shortly before or shortly after, so you can save a shot ruined at the last minute by a blink or a sneeze. Unfortunately, the photos recommended by AI have a resolution of just over 2 MP, while choosing a different time in the timeline will give you an image of 0.8 MP to be used in case of emergencies or only to recover otherwise unusable shots. The format used for the development of this function is neither photo nor video, but a format developed internally. Once again, this demonstrates Google's commitment to their software. Moving on to the practical results, which are probably much more interesting to you than all the initial chatter - the Google Pixel 3 XL does not disappoint. The dynamic range captured thanks to HDR+ is wide and slightly better than that of Pixel 2. All the qualities that I have learned to appreciate in photos captured during my year with Pixel 2 XL are still present - the excellent color fidelity and exposure, for example. Google, just like last year, have preferred to prioritize the richness of details in photos at the expense of a very slight noise present in almost all the shots, if you look closely. I don't find this noise annoying. In my opinion, it is preferable to the exaggerated effect we find on almost all current smartphones, which erases small details and makes photos artificial-looking. The images taken with the new Pixels bring to mind images captured by excellent analog cameras, the photos of which are as close to reality as possible. Unlike the latter, however, you don't need to be an expert photographer to capture breathtaking images with Pixel 3 XL. As much as I enjoyed using this camera I didn't see huge differences compared its predecessor, except in some particular cases. Using the digital zoom, which utilizes hand vibration to capture more information and enrich the photo with details, you can see improvements. However, this function should arrive via software even on old Pixels. Comparing a 2x optical zoom (for my comparison I used my iPhone X) to the digital zoom of Pixel 3 XL I noticed very few shortcomings for the latter - the results are comparable. Yet, by using the maximum digital zoom available, the Pixel 3 XL captures more detail than any other device it has ever tested. The technique used is inspired by that used in modern telescopes and the famous Hubble. The Night Sight mode, which I was able to try thanks to the modified APK of the Google Camera shared by Xda Developers' colleagues, left me speechless, more impressive than even the newly presented Huawei Mate 20 Pro. However, this mode is not yet complete and there are rumors it will be further improved in the final version. It's hard to believe after trying this almost perfect non-definitive version. The only flaw I found is that in case of extremely low light (I'm talking about environments in which I can't see anything and have to use my hands to navigate) the software is too aggressive in its attempts to get an image. The result? A picture that's practically just noise. It's true, even the successful photos in this mode have some obvious noise. However, keep in mind that you still get a photo with a subject that seems well lit without using the flash, in conditions where any other smartphone would capture a completely black image. In addition, the upcoming update may completely solve these problems. All these special features and software options also work on the front cameras, allowing the Pixel 3 XL to be once again one of the best smartphones dedicated to selfies (or group selfies thanks to the ultra wide angle camera). As for the wide-angle camera, Google has worked hard on the software to reduce distortions at the edges of the image and on the faces of subjects. Unfortunately in terms of video Google falls short of expectations. Not only can the new Pixel not record videos in 4K at 60 fps, as can most current flagships, but it is not possible to force 60fps in 1080p resolution. A hybrid mode is available that can dynamically modify framerate in FullHD videos, based on the subject framed in real time during recording, but this prevents you from getting truly fluid videos. Above all makes the editing of these videos with professional software on PC agonizing. This is not a smartphone suitable for YouTubers (which is quite ironic). Google has confided to us that the lack of 4K 60 fps video recording is not due to SoC or even to the sensor - both are capable of fulfilling this task, but due to all the additional hardware that is present in the middle and to the software processing that takes place during recording. The company preferred to focus its efforts on photography. One thing I also noticed during the test is the stabilization of these videos - I think they have made visible steps backwards compared to the past. Not only does the stabilization during walking seem to be almost absent, but a vibration of the sensor is clearly visible at every single step. Not a good look, considering that the Pixel 3 XL uses OIS+EIS, in addition to having a second gyroscope dedicated to video stabilization only. Pixel 3 XL is the best camera phone available on the market, but there is room for improvement in some respects. There's no question about that. Of course, I wouldn't rely on this device if I was a professional video maker (even if the ultra wide-angle front camera is perfect for vlogs) and I would look elsewhere if I preferred an advanced manual mode like the one found on Huawei smartphones. For all the other users who love to capture every moment of their day, their holidays, their family or friends and who expect perfect results on every occasion with little effort, there is no better alternative. At the moment, the only smartphones that can compete with computational photography and Google's incredible software experience are the Pixels themselves, even the older models. It will be really exciting to see the arrival of the new 2019 flagship that will once again try to take the throne on which the Pixel 3 XL is currently sitting without much worries. I look at it like this...although night mode might result in a NOISY photo, at least it is a photo that might be useful...auto wreck, or something similar. I put the app on my Essential phone and was amazed that it captures a "usable" although in some cases noisy photo. The other thing, a GOOD 8MP sensor, would capture a photo that would print on 11x17 (A3). Who prints? More "megapixels", especially in a pinhole sensor, are good for cropping & zooming the photo.